Mega Sale! Free Shipping Included! Save 30% on the BLACKHAWK! A.L.E.R.T. Bag Medium by BLACKHAWK! at Freedom from Government. SKU: 20LO04BK. MPN: 20LO04BK. Hurry! Limited time offer. Offer valid only while supplies last. Combining exceptional compartmentalization and versatility, the BLACKHAWK medium alert bag unzips and folds out flat for quick, convenient loading. Combining exceptional compartmentalization and versatility, the BLACKHAWK medium alert bag unzips and folds out flat for quick, convenient loading. 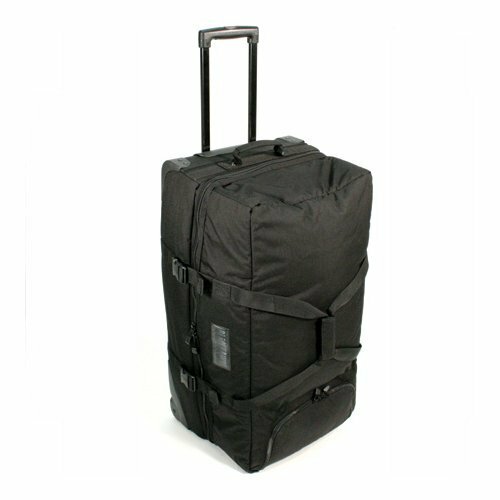 The BLACKHAWK medium alert bag is made from 1000 denier nylon with reinforced stitching for durability. Constructed of 1000 denier nylon with reinforced stitching for durability; 30"L x 16"W x 14"D = 6720 cu. in.